Here we are with only a few weeks to go to FifeSing2019. The Friday evening Gathering is in the Lumsden Memorial Hall Freuchie (a room slightly larger than the Old Falkland Town Hall) laid out with seats around tables - bring along your own refreshements - food/ drink: Followed by Late evening singaround in the Lomond Hills Hotel just over the road. The Lomond Hills Hotel is providing us excellent accommodation for guests and participants (ask for 15% accommodation discount). Lunches and the Festival Dinner will be in the hotel. Click for the Lunch and Dinner menu. We will need know numbers for Lunches and Dinner by 1 May - so please indicate this by ticking the boxes on your booking form - or send a separate email to us. 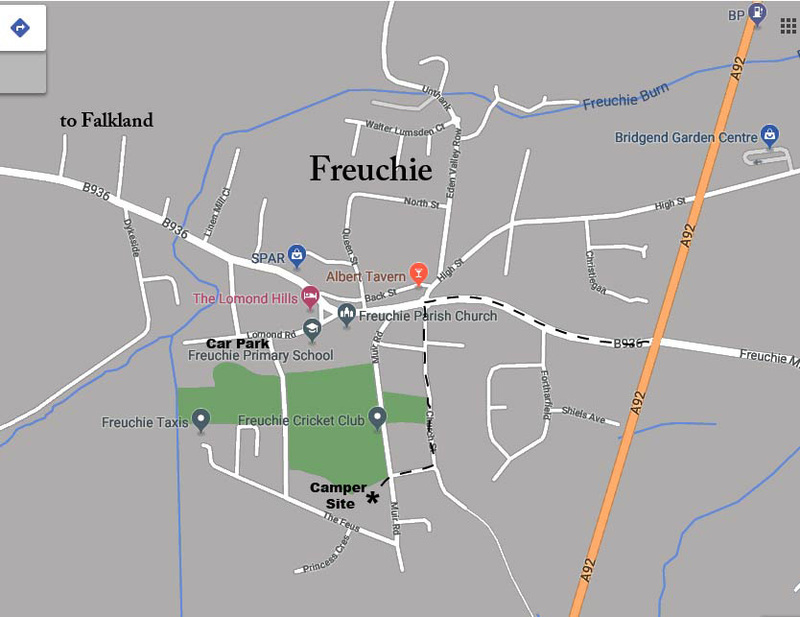 See the maps below for info on Camping & Caravans at the Freuchie Cricket Club. We are arranging a coach for transport on Saturday night from Freuchie (after dinner) to the Traditional Concert in Falkland Community Hall - and return after the late-night singaround in the Bruce Inn in Falkland. This is particularly for guests and those with Campervans. We will assess number requirements later. workshops from some of the above. This year we welcome as guests Shona Donaldson - one of the finest tradition bearers of her generation originally from Huntly in Aberdeenshire. 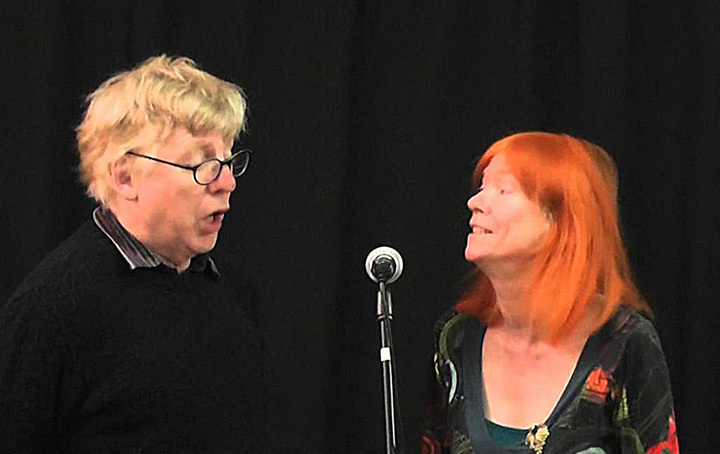 Peta Webb & Ken Hall are both fine singers rooted in the oral tradition and who together run the Musical Traditions Club in London, their style absorbed over the years by listening to and singing alongside traditional singers in England and Ireland. From Ireland we welcome two brothers, Brían and Diarmuid Mac Gloinn, who sing together as Ye Vagabonds with a style based on their traditional songs but adding close harmonies and acoustic instrumentation. 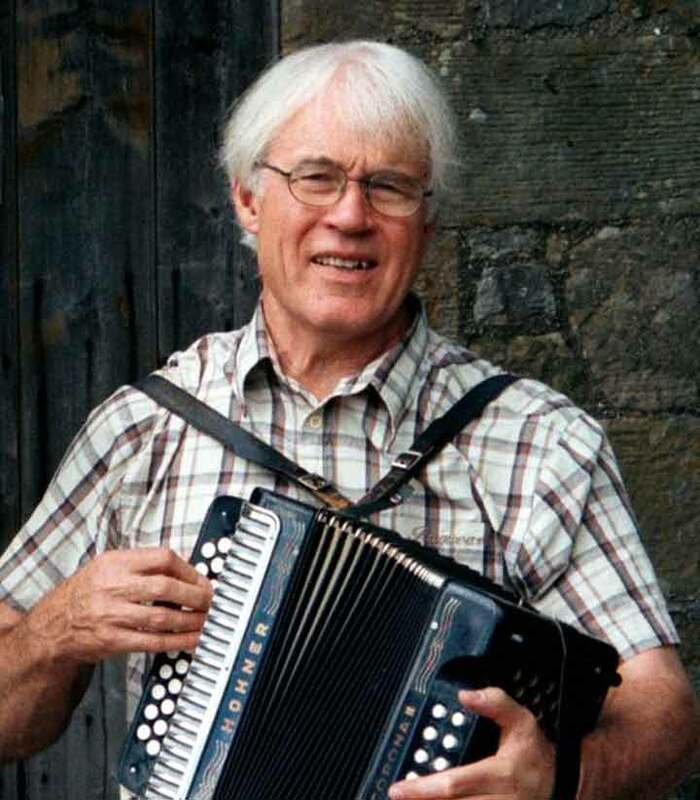 We welcome back Hector Riddell from Finzean beside Banchory who has known the old bothy ballads for many years and has been five times winner of the Bothy Ballad Champion of Champions at Elgin. From West Virginia we welcome Alice Wylde who was born and raised in a singing family who can trace their Appalachian roots back to before the Revolutionary war. Together with her partner David they accompany some of their songs on banjo, guitar and dulcimer. 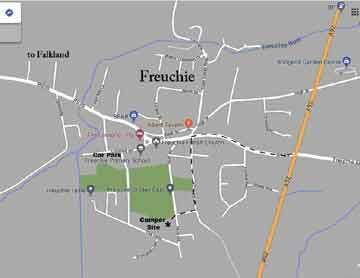 Freuchie and Falkland are the heart of the ancient Kingdom of Fife. Most events will take place in the Lumsden Memorial Hall in Freuchie. 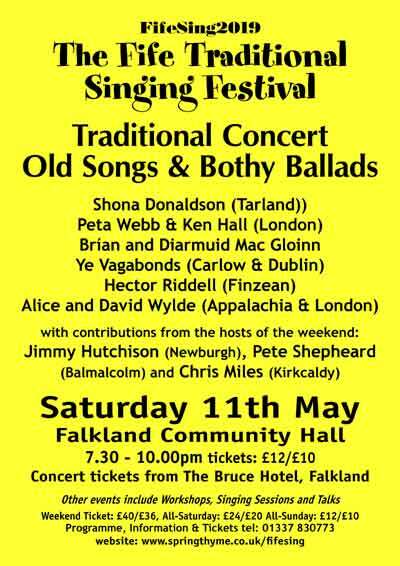 The Saturday evening Traditional Concert will be in the Falkland Community Hall. Freuchie & Falkland both lie against the north slopes of the Lomond Hills. The nearest station is at Ladybank (4 miles) on the main line from Edinburgh to Dundee. Taxi (tel: 01337 858722). Maps: Click maps for a larger scale or to download. Buffet lunch and Festival Dinner in the Lomond Hills Hotel on Saturday is organised (but please indicate interest on your booking form) and buffet lunch Sunday. There is an excellent bar - the Albert Tavern in Freuchie (no food). 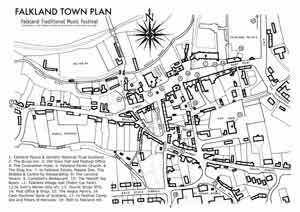 Places to eat in Falkland: The Bruce Inn, The Covenanter. We now have NEW provision for camping, caravans and campervans in the Cricket Club ground in Freuchie. Route to the site clearly shown on the Freuchie Map. Charged at £15 per Tent, Campervan or Caravan for the weekend or £12 for one night. NOTE: It is illegal to park a campervan in the Freuchie car park. There is also camping available at Pillars of Hercules with shower block (bookable). If you would like to book in to a fully equipped caravan park the following can be recommended. Markinch: Balbirnie Caravan Park (5 miles) tel: 01337 857226 or Auchtermuchty: The Clink (4 miles) tel: 01337 828497. Prices are taken from the websites per person per night. It is worth asking for reduced rates for 2 or more nights. 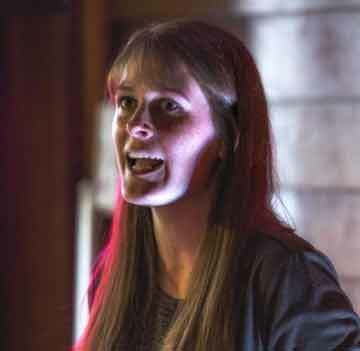 Shona Donaldson: The three incarnations: What should we make of the bothy ballads? 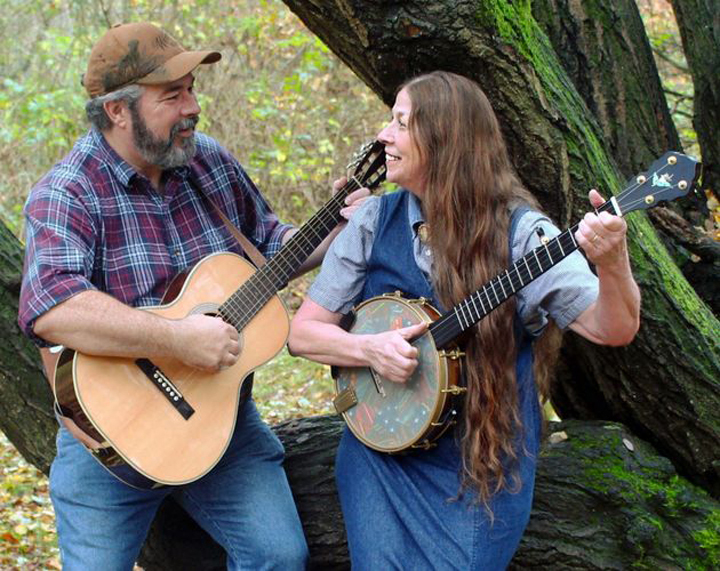 Alice & David Wylde: The living traditions of a singing family in the Appalachian mountains of West Virginia. 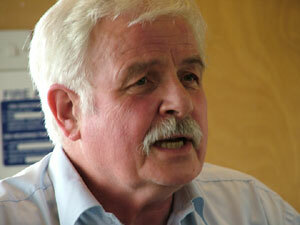 Pete Shepheard: Take the Fresh Air - Songs from Gypsy traveller families of Gloucestershire. Ye Vagabonds: Chris Miles encourages Brían and Diarmuid to talk, sing, play and generally tell about themselves and their roots and routes in traditional song. VENUE: Most events of the weekend will take place in the Lumsden Hall (upstairs) in the main street in Freuchie. (There is a chair lift on the stairs). The Friday Gathering will be laid out with seats around tables - bring along your own refreshements - food/ drink. Late evening singarounds on the Friday (from 10.30 pm) will be in the Lomond Hills Hotel, Freuchie and on the Saturday night the singaround will be in back room of the Bruce Inn in Falkland. 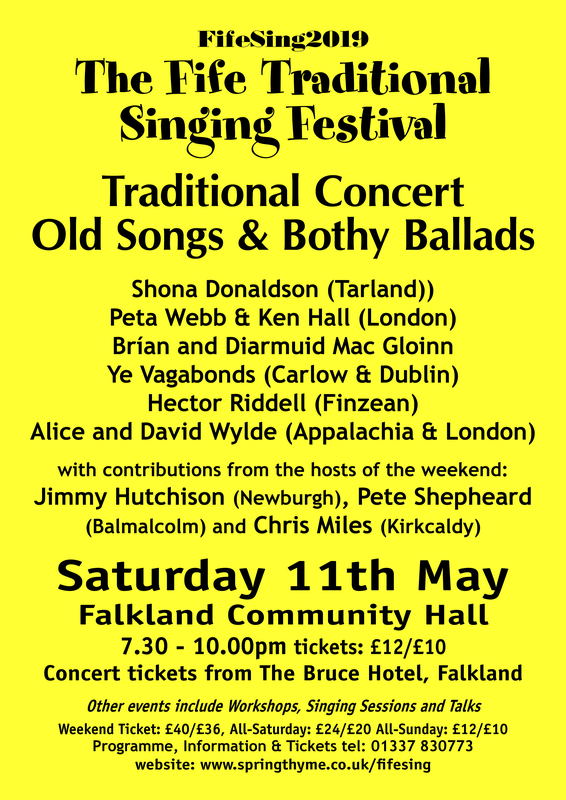 The Traditional Concert on Saturday evening will be a larger event and will take place in the Falkland Community Hall. An opportunity for more songs, some music and a bar. The guests and participants with traditional ballads from their repertoire. The classic big ballads - the muckle sangs. Old Songs & Bothy Ballads from the FifeSing Guests. Another chance for all to join in a singaround with songs from their own repertoire. The guest artistes lead a farewell concert. Concession prices in brackets are for Senior Citizens, Students & Unwaged. PAYMENT: Payment by cheque or online direct to our bank. But if you pay online send us a note (with your name(s) and address) by email to let us know you have paid and details booked. Preferably still send booking form by post or scanned by email. Click on image or high definition link for image for publicity purposes. Shona grew up in Huntly surrounded by music and dancing in the heart of North-east Scotland's bothy ballad country and is recognised as one of the finest tradition bearers of her generation. Shona's mother was always singing and, at family parties it was normal to be singing for hours with granny on the piano, spoons, fiddle and pipes and their very own Donaldson family song book with all the favourites! While still at school, she joined the Strathbogie Junior Fiddlers and took part in fiddle competitions at local traditional festivals including Keith and Strichen. There she heard the great bothy ballad singers Jock Duncan and Geordie Murison and was inspired to sing the old songs. She then studied Scots Singing at the RSAMD and she went on to appear in the Young Scottish Traditional Musician of the Year final in 2003 and 2004. Shona was voted Scots Singer of the year at the Scots Trad Music Awards in 2009. A particular highlight has to be winning the Bothy ballad Champion of Champions competition in Elgin in 2016. Bothy ballads can be a male dominated tradition so it was a real joy for Shona to be the first woman in its 34 year history to win. 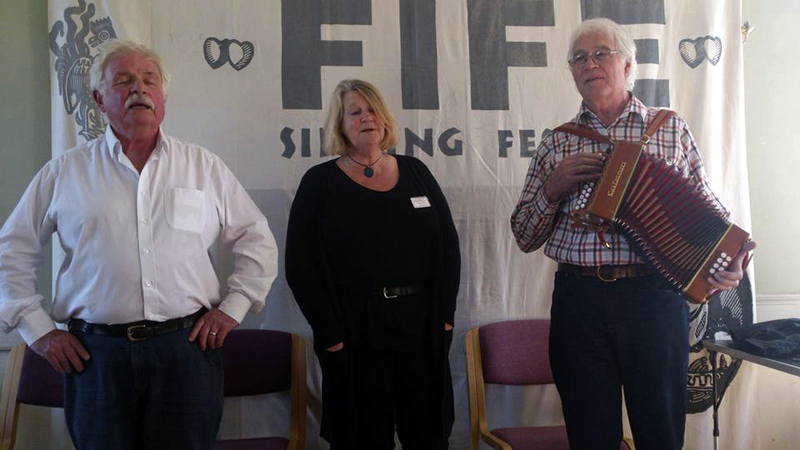 Shona was a guest at FifeSing in 2008 and we are very pleased to welcome her back this year. Born in Essex, England, Peta is a singer in traditional style, known for her ballad singing and her Irish repertoire as well as her songs about the lives of women. She and Ken Hall (originally from Liverpool) run the Musical Traditions Club in London. They sing unaccompanied and sometimes together in harmony. Peta & Ken's singing is rooted in the oral tradition, their style absorbed over the years by listening to and singing alongside traditional singers in England and Ireland. Long admired as solo singers, their coming together to explore duet singing sparked off a new creativity. They have a rich, distinctive sound, based on Irish and British traditions of unison singing and the harmonising of American brother duets. The diversity of their material, from England, Ireland and America, celebrates the essential links between these cultures. Ye Vagabonds are brothers, Brían and Diarmuid Mac Gloinn. They grew up playing music together around their hometown of Carlow forging a style based on their traditional songs but adding close harmonies and acoustic instrumentation and bringing together Irish, English and Appalachian folk traditions. They were inspired by traditional singers, especially Northern singers like Paddy Tunney and Geordie Hanna and also by bands like Sweeney's Men, Planxty, and the Incredible String Band. Their roots are in the Gaeltacht of Árainn Mhór Island in Donegal where their mother is from and they also have a repertoire of the local Irish language songs. 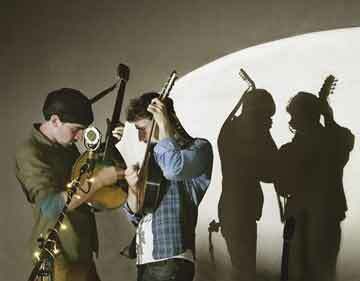 After moving to Dublin in 2012, they quickly became a staple of the vibrant live music and session scene in Ireland. We met Brían and Diarmud at the Inishowen Traditional Singing Weekend 2018 and heard two very fine young singers and when we mentioned FifeSing they, without hesitation, said they would love to join us. They have recorded two albums, toured widely in Ireland, England and taken part in the 2018 Folk Alliance in Kansas City and at Celtic Connections 2019. Hector Riddell has lived at Finzean beside Banchory but hails from Leochel Cushnie near Alford where he farmed in his younger days and later ran the Finzean Estate farm for 30 years. He has known the old bothy ballads for many years but has only recently started singing them in public. After turning up at the singing festival at Collessie in May 2007 at which he sang the Moss o Burreldale and Bogie's Bonnie Belle he went on to win the Bothy Ballad cup at the Auchtermuchty Festival in August 2008 and then gained the cup at the Bothy Ballad Champion of Champions at Elgin at his second attempt in February 2009 and then won another four times. Alice Wylde was born and raised as one of eight children in the heart of West Virginia, the only state completely within the Appalachian Mountain range. One of eight children, she comes from a singing family who can trace their Appalachian roots back to before the Revolutionary war. They went to church where there were no musical instruments and sang shape note hymns with so much passion she thought the roof would surely fly off. Music has always been part of her life, just like her mother before her. She sings at home, at work, and when walking around the supermarket. Alice plays banjo, guitar, and a little mountain dulcimer to accompany some of her songs. 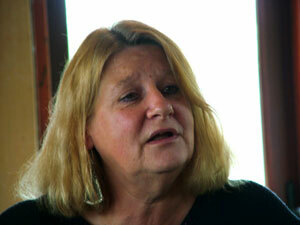 She spent 43 years of her life living up the same 'holler', until she made the move to England to be with David in 2004. She quickly found an outlet for her singing in the local folk clubs of Hampshire and Wiltshire and it wasn't long before Alice had David singing along with her. Following their many return visits to West Virginia to breathe in the culture, Alice reckons his style is improving! The FifeSing traditional singing weekend is organised by The East of Scotland Traditional Song Group - a trust with a committee of Peter Shepheard, Jimmy Hutchison and Chris Miles. Pete is a singer, musician and folksong collector. 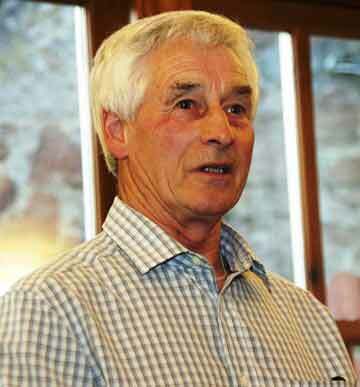 A founder member of the Traditional Music and Song Association of Scotland (TMSA) in the mid 1960s, his enthusiasm as a singer and collector resulted in the creation of Springthyme Records in the 1970s specialising in the release of recordings of Scottish traditional song and music. 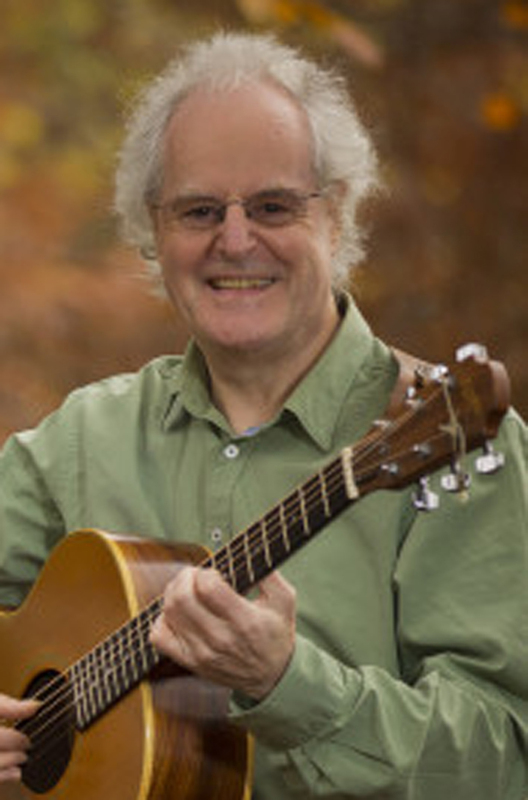 Pete has recorded two CDs as a member of Shepheard, Spiers & Watson. His contacts with the Scottish traveller traditions of the Stewarts of Blairgowrie and Jeannie Robertson's family in Aberdeen led to exploration of traveller tradition in Ireland and England as well as Scotland. He has presented lectures and workshops based on his song collecting, on ballad repertoire in the living tradition, traditional singing style, song repertoire among the Romany gypsies in Gloucestershire and among the Scottish travelling and farming communities in Fife, Tayside and Aberdeenshire. In December 2018 Pete was awarded the Hamish Henderson Services to Traditional Music Award 2018 at the MG Alba Scots Trad Muic Awards in Perth. Jimmy is originally from South Uist - his mother a Gaelic speaker, his father from Glasgow. Jimmy has been singing traditional songs for many years. In the 1960s he was involved in the St Andrews folk club and was also a founder member of the Blairgowrie Festival and the TMSA. He became a great admirer of Jeannie Robertson, the Stewarts of Blair, Norman Kennedy and old Davie Stewart. Jimmy now lives in Newburgh where he runs a joinery business. He has recorded a solo CD Corachree on the Living Tradition label. He has recently set up his original Kennedy loom in his joinery shed in Newburgh. It is well worth a look at the Newburgh Handloom Weavers website. Chris was born in Falkland and now lives in Kirkcaldy. She has been singing folk songs for many years and, as well as singing solo, she has performed with Gordeanna McCulloch, Aileen Carr and Maureen Jelks, all well known as solo singers and together as Palaver. Thanks to all who have given free use of their recordings to the East of Scotland Traditional Song Group for their FifeSing CD series. Profit from their sale goes towards the Fife Traditional Singing Festival and events organised by the Group.